Dogs weren't designed to eat dog food. Dogs are suppose to eat raw meat and gelatin. This is what they evolved to eat. When I talk about raw meat I'm not talking about raw meat from conventional animals. I'm talking about raw meats from grass fed animals. Dogs have a different digestive system than we do and do better with raw meats. 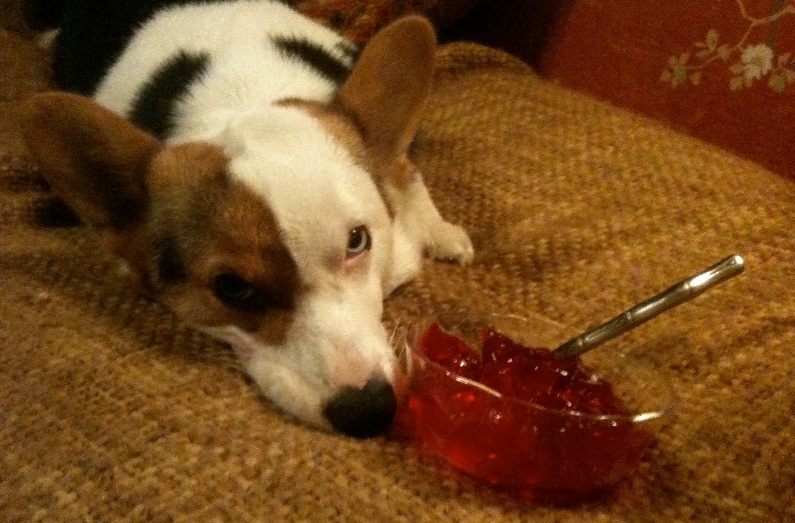 Gelatin is something that's actually very good for both humans and dogs. Dogs should be eating more of this. What's really scary is that there's a lot less regulation in terms of contamination of unhealthy chemicals in dog food than human food. This means that dog food is a lot more unhealthy for you than conventional foods. The only advantage to dog food is that it has more protein then what most people eat in North America. Dog is filled with many dangerous things that I'm afraid to even mention. This is why were seeing dogs get cancer and degenerative diseases like diabetes. This was not nearly as much of a issue in the past but due to the continued degradation of the dogs food supply. We are seeing more and more dogs suffering from degenerative diseases. It's amazing how something simple like giving dogs gelatin from grass fed animals and raw meat could improve their health and prevent them from getting these awful diseases.